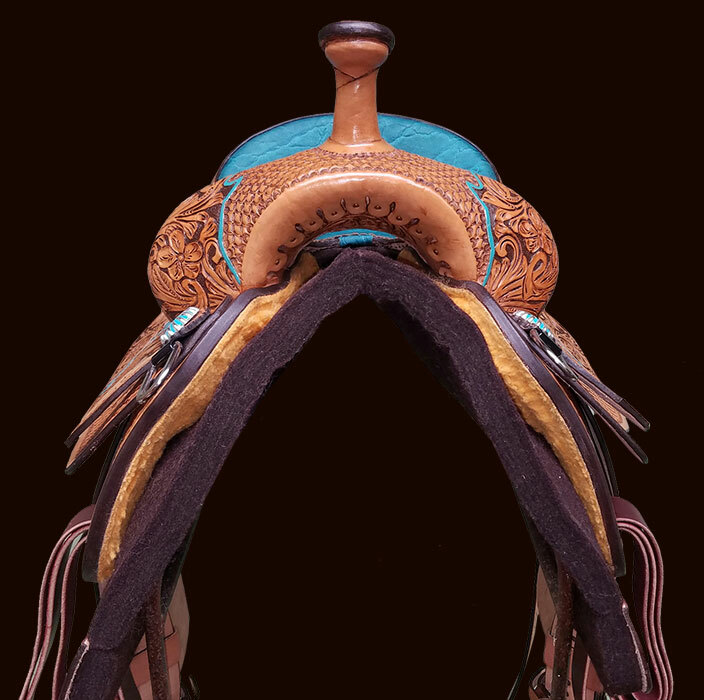 Libby Hurley LH B-17 Barrel Saddle and a 5-Star Pad with matching wear leathers. 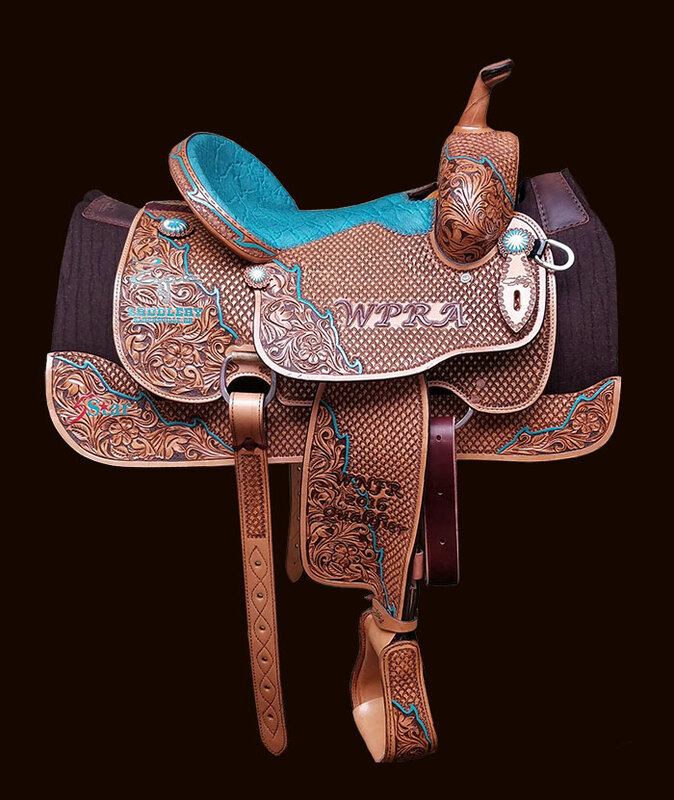 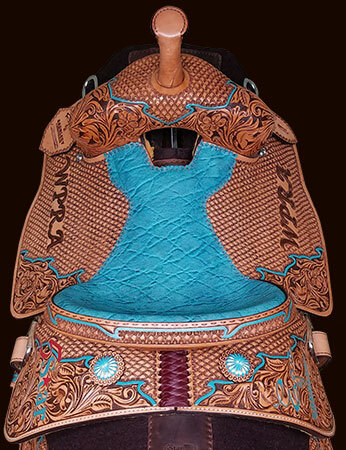 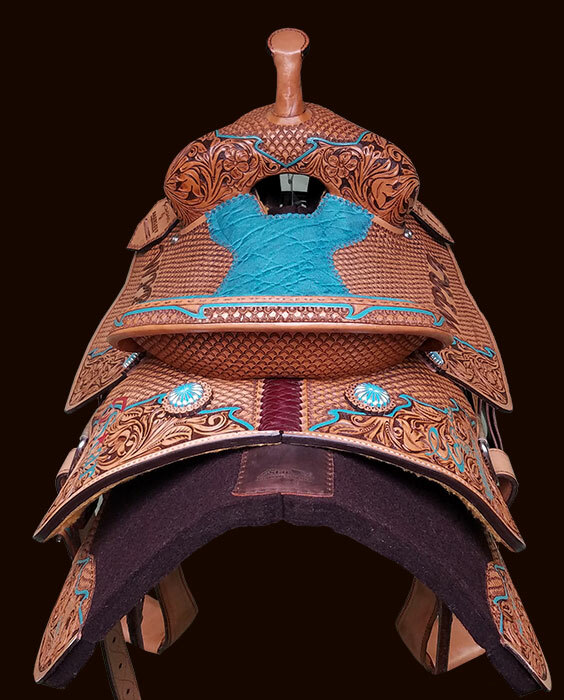 *As Shown* Fully Tooled, LH B-17 Barrel Saddle and 5-Star Pad with matching wear leathers. 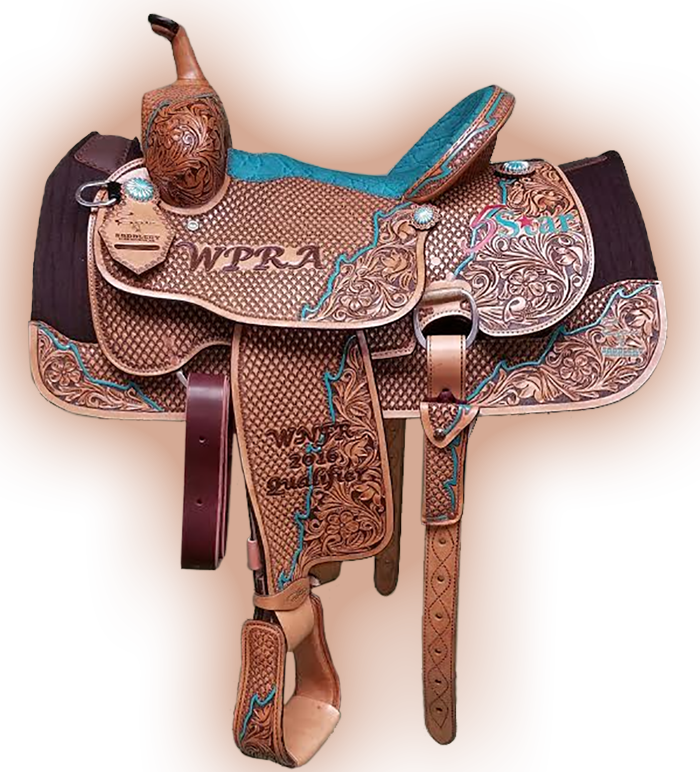 All trees are made by Hadlock and Fox and come with a 7 year warranty.